Kenneth Juster replaces Indian-American Richard Verma as the top American diplomat to India. Kenneth Juster has been sworn in as the US Ambassador to India with Vice President Mike Pence voicing confidence that he will build an even stronger partnership that will benefit both countries and their people. Juster replaces Indian-American Richard Verma as the top American diplomat to India. The position has been lying vacant since January 20 after Verma resigned from the post after the swearing in of Donald Trump as the 45th President of the US. His nomination was confirmed by the US Senate unanimously on November 2. Juster founded and served as the US Chair of the US-India High Technology Cooperation Group, and was one of the key architects of the 'Next Steps in Strategic Partnership initiative' between the US and India. 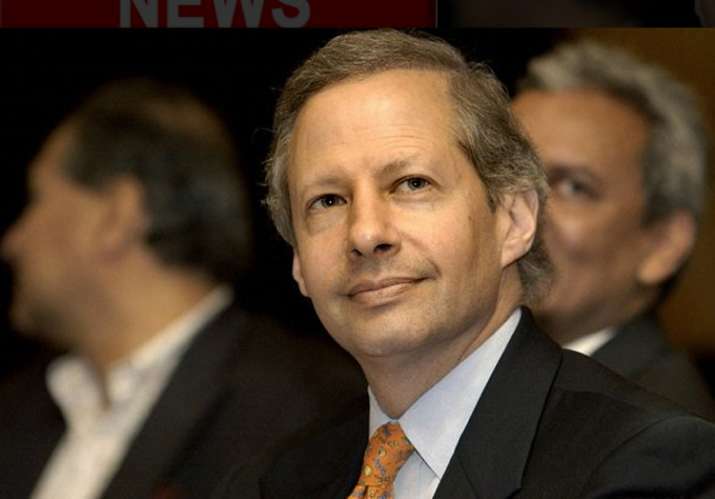 "Congrats, Ken Juster, the new US Ambassador to India!" Vice President Mike Pence said in a tweet after administering the oath of office to him yesterday. "The ties between the United States and India run deep, and @POTUS & I are confident that with his leadership, integrity & experience, Ken will build an even stronger partnership that will benefit our nation & our people," Pence said. An old India hand, Juster, 62, is expected to be headed for New Delhi soon so as to prepare for the successful visit of Ivanka Trump to Hyderabad later this month. Ivanka, US President Donald Trump's daughter and his senior presidential advisor, will be leading a high-powered delegation of American officials and entrepreneurs to attend the Global Entrepreneur Summit being hosted by India in Hyderabad this month. Juster's work related to India played an important role in the transformation of the US-India relationship and helped provide the foundation for the historic civil nuclear agreement between the two countries. Juster played a key role in enhancing the Indo-US ties under the the George W Bush administration. He has also served as Chairman of Harvard University's Weatherhead Centre for International Affairs, and as Vice Chairman of The Asia Foundation. During his confirmation hearing in October, Juster told lawmakers that India and the US share common values and a commitment to democracy, pluralism and the rule of law. "The administration firmly believes that a strong India and a strong US-India relationship are in America's interest. India's role in the Indo-Pacific region and globally will be critical to international security and the economic growth over the course of this century," he said.